Join us for a FREE performance featuring our unique blend of classical ballet training and worship dance. 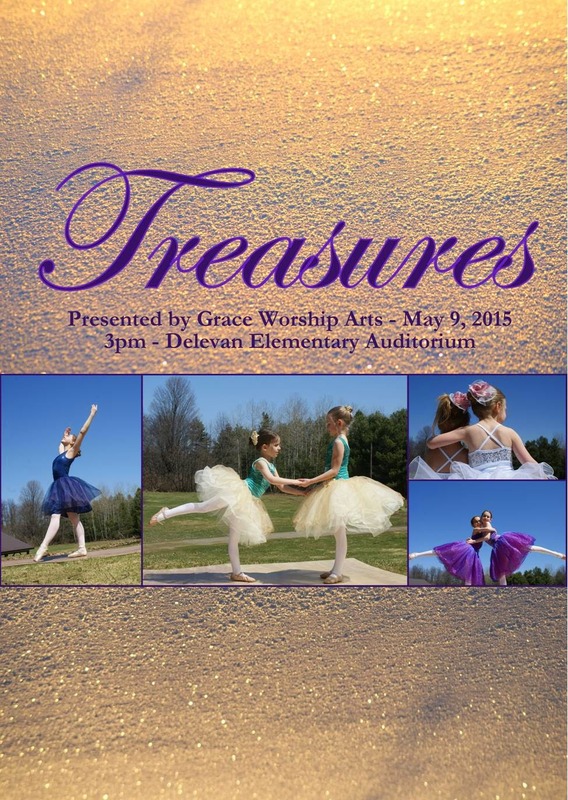 Our creative arts teams in tap, Praise Jam, lyrical, flags, and ladies worship will join us to present Treasures, our 2015 Spring Performance. Special Guests: Jessica Cooper (modern dance), and Shepherds' Troupe (performing arts) ministry team. Come experience the joy of finding your unique value in the way God treasures you. Treasures Preview from Grace School of Dance on Vimeo. Come experience the joy! Discover your unique value in being God's treasure.